The Society for Libyan Studies receives a grant in aid from the British Academy as well as subscription income from its members. However, to maintain a full fieldwork and publications programme, the Society needs to supplement its income. We therefore welcome enquiries about opportunities to sponsor the Society and our official activities and events. If you are a company or organisation with a presence in Libya or interests in Libyan heritage, culture and scholarship, the Society would be delighted to hear from you to discuss opportunities to support our lectures, seminars, book launches, and other special events. 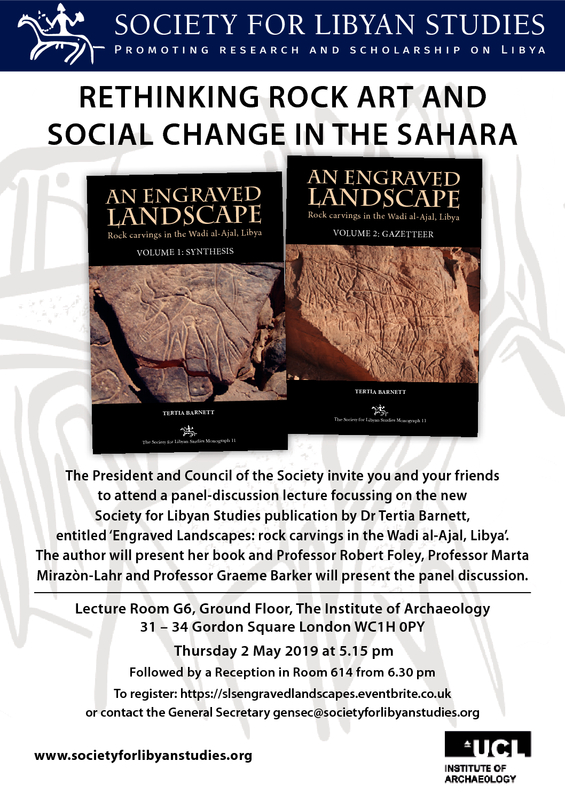 For example, the final volume of the Archaeology of Fazzan series was published by the Society in the autumn of 2013 and was formally launched at the British Museum on the 13th May 2014 during an event kindly sponsored by BP, which also sponsored the publication itself. As a UK Registered Charity we also welcome individual and corporate donations. If you wish to make a donation, please click on the DONATE button (below) and follow the instructions. If you are a UK taxpayer, please use the PayPal “Special instructions” message box to ask for a Gift Aid form. Thank you. We value your support.